Nothing boosts your confidence like feeling completely prepared for your MBA journey. 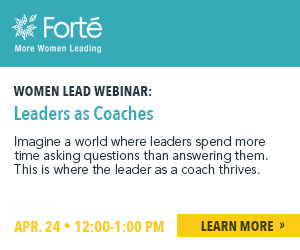 To gain the in-depth knowledge you’ll need, attend one of the many webinars geared just for pre-MBA women, brought to you by Forté. The women who attend the Forté MBA Women’s Leadership Conference will leave energized and committed to excelling in their career. And you need to make this investment in yourself. Are you an exceptional student leader interested in building your skills and enhancing your resume? Have you considered a career in business? Attend the Forté College 2 Business Leadership Conference to explore opportunities you never knew existed! Forté company representatives discuss the summer internship recruiting process. Recruiters provide tips for preparing your resume and interviewing successfully.